At Shopify’s UNITE conference, Jean-Michel Lemieux, the Senior Vice-President of Engineering at Shopify, discusses how merchants need an online store — one that is simple yet powerful — to house their businesses, regardless of how many marketplaces and locations they inhabit. As someone who has built online stores on multiple platforms, Shopify presented me with an overwhelming sense of relief, not only in the realization that a webstore platform was recognizing the future of online retail, but also that they were adding value to the seller’s experience by putting the merchant where the customer is – on mobile and on social. They have created a successful and seamless mobile shopping experience and are connecting merchants with their customers on social with integrations that provide a one-click-to-buy option from the store. Shopify has been busy building a loyal ecosystem with partners, ‘hackers, hustlers and creatives’ to create the shopfront of the future. Lemieux unveiled a host of new features that will help Shopify evolve into the storefront of the future by experimenting with new ways of selling from mobile, social to conversational commerce, all within a simple user interface. The aim of the Shopify game is to extend the reach of small to medium businesses in order to grow their online store to the next level or to overwhelming success. Who can provide me with a seamless solution to set up and manage my online store? What eCommerce shopfront will scale with my business? And what opportunities might arise from its innovations? When will the new features be available for my business and in my location? How can an eCommerce platform add value to my experience, as a seller, to help me nurture my customer and my business? Let’s take a look at four ways that Shopify is innovating the webstore and discover how their business model won the hearts of 275K merchant businesses. 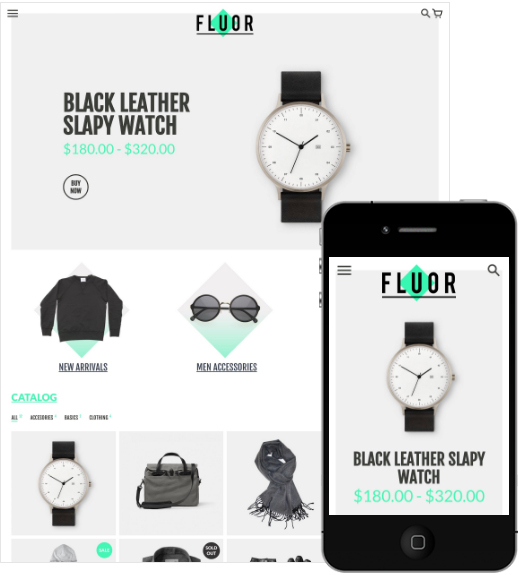 Shopify’s online store editor puts beautiful online shopfronts into the hands of even the least tech-savvy entrepreneur, using themes created by their developer and creative partners. As long as you have your product images at the ready, Jean-Michel Lemieux sought to prove that you could create a webstore in 30 seconds during a demo at the UNITE conference. You can customize your selected theme to reflect your brand and product offering and go live with a sleek, shoppable website in minutes. All themes are built on Shopify’s ‘Liquid’ platform, making for a consistent responsive design that customers can easily navigate on mobile and desktop with a one-click-to-buy shopping experience. Minimizing the journey for the customer to the cart is essential for m-commerce. To date, most consumers are window shopping on mobile, and then returning to their desktop to carry out the purchase. Until now, mobile shopping has often been an arduous task for the consumer where non-intuitive mobile sites were presenting them with difficulties in navigation and doubts for a safe payment experience. Shopify has gained ground in the m-commerce stakes in 2016, even surpassing the US average for mobile transactions with 70 percent of their traffic via mobile, generating 50 percent of sales. Japan is at the forefront of the rise of m-commerce, according to Criteo’s ‘State of Mobile Commerce Report’, in the fourth quarter of 2015, half of e-commerce purchases were made on mobile. 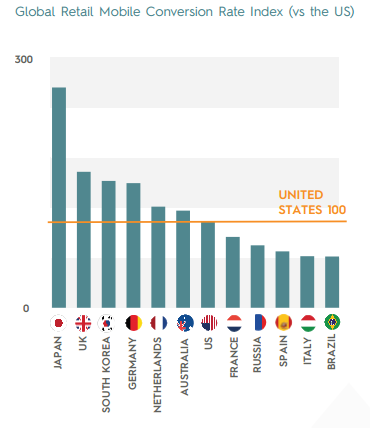 Other countries with a high proportion of mobile transactions include the United Kingdom, South Korea and Germany. Mobile commerce is definitely on the up. Shopify is encouraging its merchants to develop an omnichannel presence with social integrations and experiments, such as the Twitter Buy Button, Buyable Pins from Pinterest and the Facebook Shop. Although some of the experiments have worked out well, social commerce is proving a little tricky. If we are to learn from Twitter’s announcement to abandon the Buy Button, it seems that the customer may not be ready for social purchases just yet. Geo-testing in the US didn’t excite consumers as much as it did the eager marketing community. On the other hand, 2016 is “poised to be the year that it all comes together for Pinterest”, according to Quartz. If that statement rings true, then merchants on Shopify can look forward to a fruitful year with the Pinterest Buyable Pins integration. According to Pinterest data, 96 percent of their users go to the social site to research products before they purchase. The addition of Buyable Pins and one-click-to-buy from your webstore can only add value to your business, connecting your product images to a huge consumer audience. The Facebook shop has a very simple setup process, and generates potentially endless leads, by connecting your customers to their cart in one simple step to purchase. Social commerce won’t blow up this year but Shopify are keeping up to date with the trend, so that your business will be prepared when customers are ready to engage. In a demonstration for Facebook’s F8 conference, Messenger boss, David Marcus, lamented how the online buying process is an endurance test for customers, leading to multiple steps and clicks every time a customer wanted to make a purchase. Screenshots from H&M’s Telegram messaging bot. Shopify is leading the conversational commerce trend for webstores with the Facebook Messenger integration, announced in April this year. Above, the H&M bot on messaging platform Telegram, demonstrates how conversational commerce might be implemented on Shopify to drive sales from your webstore. 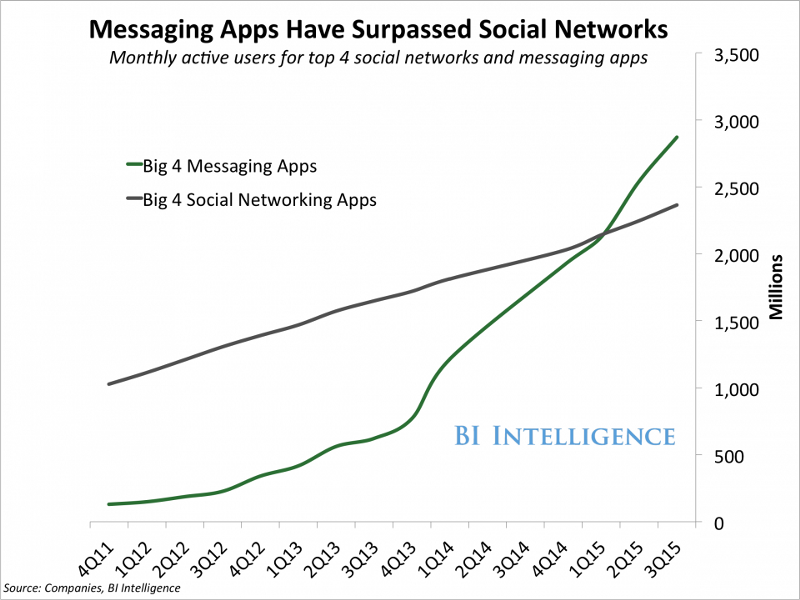 The popularity of messaging apps is rising, making way for a new way of selling via messaging services. Now that eCommerce is sprawling across multiple social channels and marketplaces, Shopify recognizes that the future of the webstore is to place merchants where their customers are. This poses one problem for online retailers where they face the painful magnitude of needing to respond within multiple customer points of contact. Unfortunately, this is where your webstore can’t help you. xSellco’s developers have been crafting some coding heroics to integrate Fusion software, not only with multiple marketplaces like Amazon, eBay and Allegro, but also connecting to Facebook and Twitter. You can manage your social and marketplace customer queries from within a single interface and eliminate the fear of missing important correspondence. Learn more about integrating your Shopify store with xSellco Fusion. When selecting the right webstore for your business, it is important to research a platform that will scale with your company roadmap. No online retailer wants the hassle of changing shopfronts again and again, therefore it is essential to choose a base where your brand is given the potential to grow its story and broaden its scope within the webstore product. Innovations, whether they are experimental, or immediately successful, are pivotal points to consider in the selection of an online shopfront. You’re looking for a platform that is aware of new technologies that increase sales and the potential of growing your business.